LME move their manufacturing to larger premises…. Celebrating our 40th anniversary this year, and being one of the leading Electrical Contractors and Electrical Control Panel manufacturers, Lloyd Morris Electrical on reaching this milestone has invested £450,000 in new premises, which will provide much needed additional space to accommodate increasing demand for our products and services and, with 2015 turnover forecasted to exceed £13 million; it will provide further security for our 150 employees. Specialising in the design, manufacture and installation of electrical distribution and control systems for industrial and commercial projects, Lloyd Morris Electrical also plans to create another 15 jobs over the next two years. “Moving into larger manufacturing premises enables us to grow the business even more, allowing us to employ more staff and apprentices thus supporting the local community. 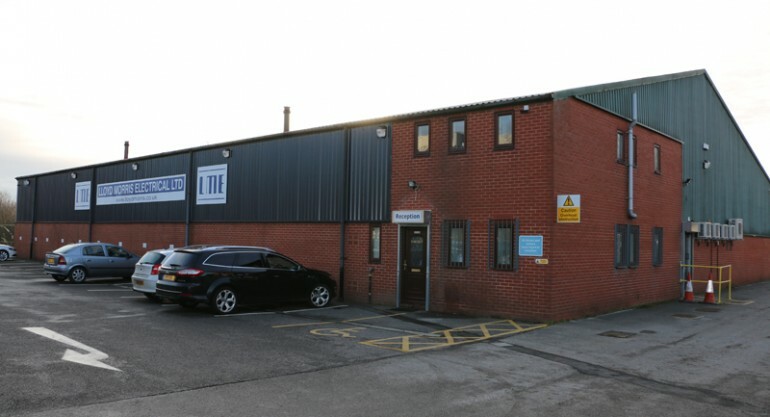 Expansion this way gives further confidence to our clients, having Blue Chip clients it’s important to demonstrate that we have the capacity and the expertise to manufacture and deliver a quality product at any given time”. Barry Lewis continues “Having invested into this larger facility we now have the opportunity to fulfil our R&D programme and have already installed a test facility focusing on temperature rise verification for control panels. This important development will not only ensure that our own panels comply with all necessary compliance standards, but it also has the potential to enable additional revenue streams.